Ending a marriage is not an easy matter. The emotional and financial implications of a divorce can be devastating, not only for the couple but for their children too, if they have any. While there are several cases of amicable divorce settled on mutual consent, it is important to remember that these have been based on undisputable proof which the other party cannot deny. If you are planning to file for a divorce, make sure you have a good reason as well as the relevant evidence to back your case in the courtroom. Gathering intelligence that is admissible in court is not a layman’s job. The task can be emotionally and physically challenging and not advisable to carry out independently. Hiring a detective agency will help tackle the job quite neatly. Be it a detective agency in Delhi, or from anywhere else in the country, remember that the quality of a professional job will always be way better than your amateur attempt at collecting proof! Suspecting your spouse of infidelity, financial embezzlement or any other illegal or immoral activities tends to be quite painful, especially when you do not have proof and cannot confide in anyone else. Private detectives can understand your emotional state and support you through this difficult phase in an impartial manner. A detective agency has the necessary infrastructure and the collective experience/expertise to find out if your suspicions are true indeed. You can rest assured that your concerns will be thoroughly investigated in a discreet and professional manner and the results (positive or negative) presented to you. You will get to know the truth. Catching a disloyal spouse red-handed is no joke as you are bound to experience a myriad of emotions that will be difficult to handle no matter how calm and collected you may want to be. Similarly, if your spouse catches you trailing him or her, you could be in trouble as well. A detective agency/private detective shields you from the emotional breakdown, pain or awkwardness that comes from having to spy on your better half. Stalking or following people around or checking their mail can amount to an invasion of privacy, which is illegal. If you are caught in the act of spying, your spouse may get alert or smart, making it difficult to collect proof. Professional detectives are experts in surveillance methods and can follow people undetected as well as use the latest digital techniques to get personal, email and bank details without getting on the wrong side of the law. Backed by the expert services and moral support of the detective agency, it is easier for you to decide on the further course of action based on the results of preliminary surveillance. You can reconsider your decision to file for a divorce if there is really no cause for concern. On the other hand, you may have to start collecting solid evidence if your instincts are right. Proving guilt beyond doubt is necessary to win a legal battle. Detectives know best about what evidence to collect as well as which ones are relevant and accepted in a court of law when it comes to divorce cases. Clear audio/visuals, accurate data, travel/communication history, and other evidence make your case quite indisputable. 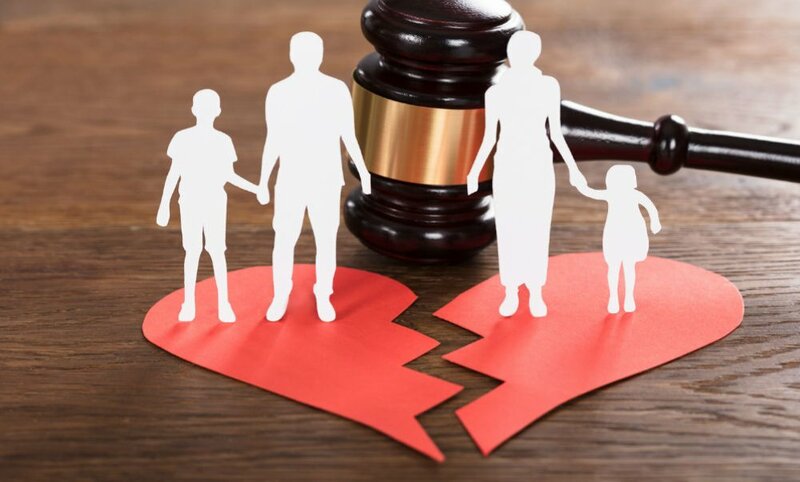 One of the most disturbing aspects of a divorce case is obtaining custody of children and detective agencies can gather compelling evidence in terms of financial and personal details of the spouse, nature of work, socializing patterns and other details to support the request for custody. Proving child abuse can be a tricky issue which detectives usually also help with. Providing financial support or alimony to your erstwhile spouse is an integral part of the divorce settlement. Alimony demands most of the times are unreasonably high and you’ll need the services of a detective to determine if the amount is justified. If your ex-spouse has a well-paying job or any other sources of funds to comfortably address the financial needs, your detective can get you enough evidence to save a significant amount of money that you may have agreed to pay. Financial aspects of a divorce, including alimony, are usual matters of contention. Very often couples have their own secret savings/property that they may have acquired over years of marriage and may not willingly divulge the details. Such hidden assets can influence the way in which the divorce case handled as each partner has a stake in wealth created /property purchased when still married. Teaming up with a reputed detective agency can help get through this difficult time in a speedy manner. Once you have enough proof to support your divorce case, you can go ahead with filing a case with the help of a divorce lawyer. Your detective agency will be there to help you during and after the case well should you need their services. Now that you know why you should be hiring a detective agency before you file for divorce, it is important that you avail the services of a reputed firm, ideally based on references from a trustworthy source, without of course revealing why you need detective services. There are several detective agencies that offer professional services in India. Residents of Noida and nearby cities can avail the services of a credible detective agency in Delhi to handle their investigation needs, be it for divorce cases or other purposes as well. It is better to stick with local detective agencies as their detective agents too are locals who are familiar with the region, language and culture and hard to identify!